This is an old recipe from Eastern Europe, a cake with 3 layers of sponge and 3 layers of lemon white cream, covered with caster sugar on top. It may have different names in different countries but Snow White is its name in Romania, though I can't tell you why it is called like that. Mix the eggs and the sugar until the sugar completely melts. Add the butter which should have the room temperature, mix again, then add the vanilla, the lemon zest, and in the end the flour and baking powder, little by little to get a dough that can be layered in sheets. Leave it for about 20 minutes to rest. Then divide the dough into 3 balls and form the sheets, by pressing the dough with your palms and fingers, directly into the oiled trays. They should not be higher than a pencil. Leave them in the preheated oven at medium heat (170 C) for about 25 minutes in the oven until they become golden brown. When ready, remove immediately from the tray(s) and let them cool on a wire. The cream: mix the butter and sugar until you get a creamy composition, then add vanilla essence, lemon zest and juice (continue to mix at a low speed) and finally the cream (mix at speed no 1 or manually with a spoon). You should obtain a fine, soft lemon cream. If it's too fluid, don't bother, the extra juice will soften the sponge layers. When the sponge layers are cool, spread the cream on every layer and cover the last cream layer with caster sugar, or with caster sugar and coconut zest. The Snow White cake is ready to be served after several hours when the cream softened very well the sponge sheets. If you liked it, please, share it! Greetings Johannas!...wow they look as elegant as snow white.....may that's y it's name is snow white...haha!! 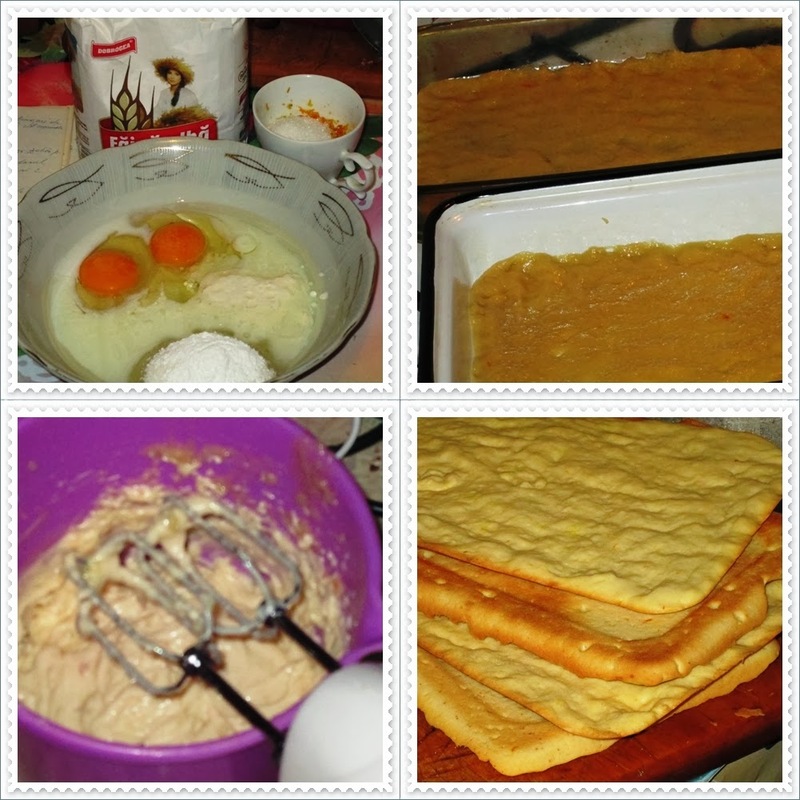 !...The ingredients are quite handy....I wanna try it soon!! Looks so pretty, would be great to bring to church. What is caster sugar?